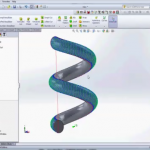 Ever wanted to use a cad to motion path on your SolidWorks part and then export it directly to your robotic motion. 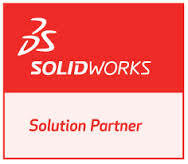 Now you can, with ModusCAM cad to motion application directly installed in SolidWorks 3D cad software. Flexible Robotic Environment’s software will change the way you operate robotic and or automation equipment. Below are the ways we may work for your motion. Take a look at our solution and contact us today to find out how MoDusCAM is an easy solution for your robotic path planning.